Science takes time. Experiments can take months and sometimes even years of intense work, so it is only human for even the brightest and most diligent of scientists to hope that these experiments show them the results they are looking for. Because this glimmer of hope resides in us all and can introduce bias into results, pioneers of medicine set very clear criteria for success before they begin their research. This way their excitement and investment in their project do not obscure the conclusions. A recent study of an experimental vaccine for dengue fever, recently published in The Lancet by researchers at Sanofi Pasteur, the French multinational pharmaceutical company, was an example of this kind of well-designed research. Well-designed in that even though the vaccine was the culmination of almost 20 years of research its primary criteria for success failed. It is no surprise, though, that The Lancet published the results as a “breakthrough”, while in reality, the data is a mere stepping stone in the right direction. Dengue is a viral disease that is passed on to humans via bites from infected mosquitoes. Over the last century the disease has become more prevalent. The World Health Organization estimates that it now infects almost 50 million to 100 million people each year, killing at least 12,000. It has become a more serious threat in tropical and subtropical regions because global warming has increased the areas in which Aedes aegypti, the mosquito that spreads dengue, thrives. As a result, dengue is now endemic in over 100 countries. Half the world’s population is threatened by the disease and a vaccine is critical because there is no other treatment and no way to prevent disease other than controlling the mosquito population. DHF, or dengue hemorrhagic fever, is often observed in young children making them the most likely to see fatal effects by dengue. For this reason, the clinical trial conducted by Sanofi and Thailand’s Mahidol University involved 4,002 Thai schoolchildren between the ages of 4 and 11 in the Ratchaburi Province. They were randomly assigned to receive injections of either the dengue vaccine or a control at 0, 6, and 12 months. Once vaccinated, they were actively followed and tested up until month 25. Of the 4,002 test subjects, only 3,673 were included in the analysis. 2,452 were vaccinated and 1,221 were controls given the rabies vaccine or a placebo. 134 confirmed cases of dengue were observed and the efficacy of the experiment was approximately 30.2% i.e. the vaccine reduced the risk by 30 percent. Ideally, the researchers were looking for a number over 70 percent. The primary reason for the low success was the nature of dengue itself. There are four different viruses that lead to dengue infection. The vaccine protected the patients against three of those four. The one that it failed to act on was serotype 2, incidentally the most prevalent strain in the region at the time of the trial. This information has fueled a more vehement urge in the Sanofi researchers to conduct further trials in additional locations. Sanofi is on track to start phase 3 trials involving more than 30,000 people in ten different countries, with results expected in 2014. While these trials are happening, another increasingly popular and innovative approach to combating dengue is being pursued. Scientists from the British biotech company Oxitech, short for Oxford Insect Technologies, have modified the genetic structure of the male Aedes aegypti mosquito, making it a mutant capable of destroying its own species. These modified male mosquitoes are released into the wild to mate with females. Their offspring hatch normally, but after a few days the lethal gene is activated and the offspring die before they learn how to fly. The concept seems foolproof. These mutant mosquitoes are hatched, nurtured and fed a blend of goat blood and fish food in a small facility in Juazeiro, Brazil run by Oxitech. The females are destroyed and only the males are let out into the wild. This is because only a female’s bite transmits dengue to humans. Males simply feed on plants, so there is no threat to humans from the mutant males. By allowing the wild females to mate with the mutant males, the offspring that could carry dengue are not able to survive, and the entire native population of Aedes aegypti is wiped out. The Brazilian government saw such positive results using this method that both the minister of health and the minister of science and technology want the mutant mosquitoes to be deployed at more sites. Understandably, however, there is much contention over the prospect of releasing Oxitech’s mosquitoes around the world. Activists opposing this plan fear the instance of a female mutant being accidentally released into the wild. What happens then? Upon careful investigation of the dengue dynamic, even that mishap is harmless to humans. First of all, if a mutant female was accidentally released, it would not be carrying any trace of dengue. Being bitten by a wild female is much more dangerous. 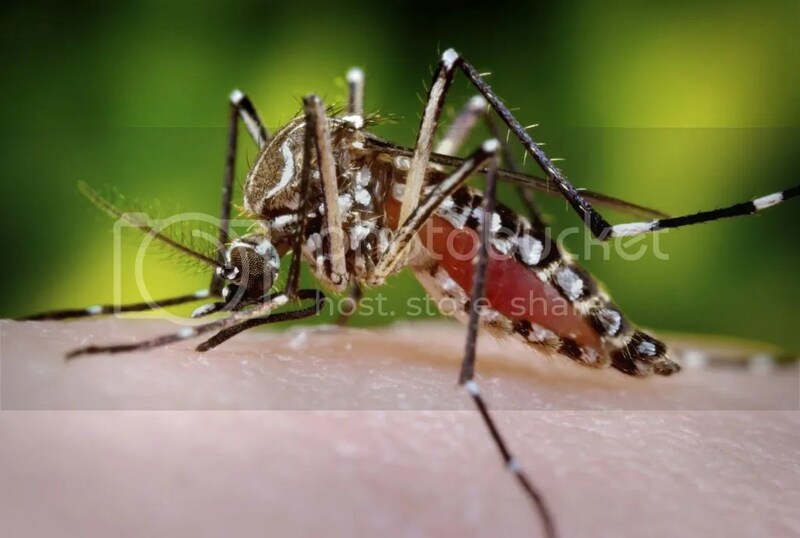 Additionally, the Oxitech genetically modified proteins are not exhibited in the salivary glands of the mosquito, so even if it were to bite a human, the genetic modification can in no way be transmitted. And if in some rare, bizarre case the modified DNA did make it into a human cell, the proteins it would produce are not toxic to humans. Basically, there is no tangible way these mutant mosquitoes can be harmful to humans. The current preventative measure for dengue outbreaks that is used widely in villages in Asia is pesticide. Blowing massive streams of pesticide into homes and streets is much more dangerous, and excessive inhalation can result in human mutation. The protests that Oxitech aren’t able to combat stem from a moral high ground. Many believe that by creating these animals in labs the scientists are playing god and upsetting the balance of nature. What these critics fail to realize is that 50 percent of the world’s population is at risk of contracting dengue, and that even though most adults do survive, the symptoms are severe and inhibitory. Sometimes the effects of dengue last four to six weeks, putting most people affected by it out of work and unable to provide for their families. Statistics show that one person dies of dengue fever every minute, 75 percent of which are children. There is no other treatment that currently works, and if eliminating one native population of mosquito can prevent the loss of $3 billion per year in hospital costs and loss of production in the developing world, then so be it. Campbell, Hank. “Fear the Fever, Not the Frankenbug.” Los Angeles Times. N.p., n.d. Web. 17 Oct. 2012. .
Dengue. N.p. : Novartis AG, 2012. The Novartis Institute for Tropical Diseases. Novartis Institutes for Biomedical Research. Web. 15 Oct. 2012. .
“Dengue Charts and Graphs.” Infographic. Sanofi Pasteur. N.p., n.d. Web. 15 Oct. 2012. Palca, Joe. “Vaccine for Dengue Fever Shows a Glimmer of Hope.” SHOTS NPR’s Health Blog. NPR.org, 10 Sept. 2012. Web. 17 Oct. 2012. .
Pollack, Andrew. “In a Setback, Sanofi’s Dengue Fever Vaccine Falls Short of Its Goal.” New York Times. N.p., 10 Sept. 2012. Web. 16 Oct. 2012. .
Sabchareon, Arunee, et al. “Protective efficacy of the recombinant, live-attenuated, CYD tetravalent dengue vaccine in Thai schoolchildren: a randomised, controlled phase 2b trial.” The Lancet (2012): n. pag. The Lancet. Web. 15 Oct. 2012. .
Specter, Michael. “The Mosquito Solution, Can Genetic Modification Eliminate a Deadly Tropical Disease?” The New Yorker 9 July 2012: n. pag. Print.